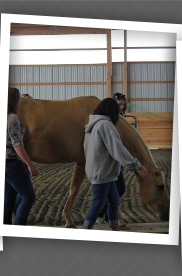 Talk To Me - Equine Assisted Learning participant comments. I would love to do this again! 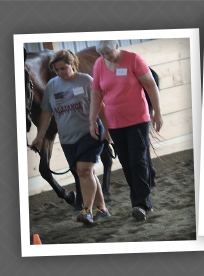 Great experience - very fun - Tammy is an excellent instructor and horsewoman. I love this kind of stuff - reflective, perspective changing. I never really knew that horses were so good at picking up my thoughts and feelings which equals showing me my energy levels, stress, etc. Loved the last activity and that it filled me with so much emotion. This was a great way to reflect on communication, collaboration, and team building with others. Love the barn and atmosphere. Very peaceful, calming and welcoming. 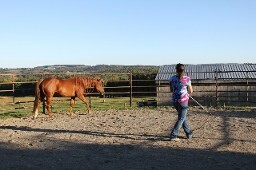 It flew by so fast a full day clinic would be great! 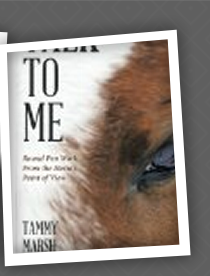 Testimonials for Talk To Me Round Pen Work From The Horse's Point of View. 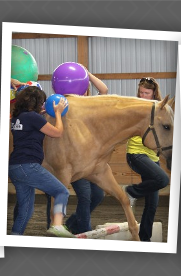 Thank you for including so many different personality types of horses. 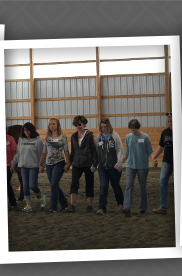 Each gave a different perspective which helps to generate balance, fairness, and insights to the heart and mind of each horse worked. - also, I recently moved to Ithaca, NY area so I do hope to attend a clinic. Kindle Customer. Well written and insightful. 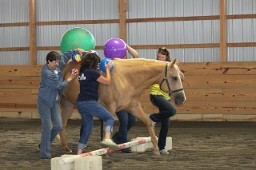 It definitely left me wanting to hear more about the training and the backstories of the horses. Mathew Abrams. This story gave me a greater appreciation for the beautiful animal! Blondie.